There’s a new album out by The Welcome Wagon, and it’s called Precious Remedies against Satan’s Devices. The music is all written by Thomas Vito Aiuto, who plays guitar and sings on the album. The other half of the band is Vito’s wife, Monique, who sings and plays harmonica. It’s probably worth mentioning at the outset that Reverend Aiuto is the pastor of a Presbyterian church in Brooklyn, and those of his parishioners that I’ve met call him Vito. The album’s style runs the gamut from the jaunty, up-tempo folk-rock of songs like “I’m Not Fine” and “God Be With You Till We Meet Again” to the meditative, down-tempo folk of “My God, My God, Parts 1&2.” When Rev. Aiuto puts someone else’s words to music, he chooses from four centuries’ worth of English-language hymns and religious poetry. When he writes his own lyrics, he writes about the gifts of friendship in times of trouble. There’s also a gentle cover of The Cure’s silly-sweet love song “High” on the record, original melody intact. 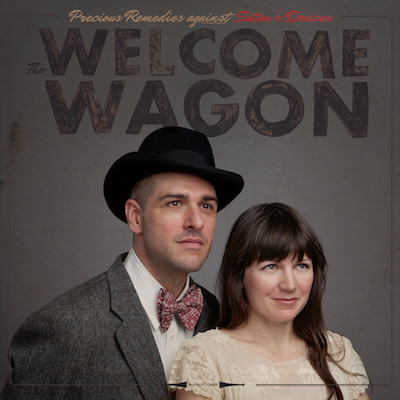 If you heard the Welcome Wagon’s first album, Welcome to the Welcome Wagon, this one has simpler arrangements and keeps the vocals front and center. Sufjan Stevens, a songwriter and composer well-known in indie music circles, produced Welcome to…, and he once explained that he meant it to be kind of “community theater,” where a bunch of noisy happy people are corralled into putting on a rollicking show. This time around, producer Alexander Foote treats the album more like a film: again, a lot of people pitching in to help, but if they’ve done their jobs you won’t notice them because you’re absorbed in what they’ve captured. The Welcome Wagon – Would You Come and See Me in New York from Asthmatic Kitty on Vimeo. Now that the capsule review’s out of the way, I’d like to tell you about some interesting things I’ve noticed on the album. Not having read the book from which The Welcome Wagon got the title of this album, I’m not sure exactly what the “precious remedies” in question are, but grace, praise, and church together make a pretty good start on a list. The Welcome Wagon sings about our need for grace. The album’s first song, “I’m Not Fine,” is nearly as concise as possible on this subject. Over a punchy setting where the guitar and drums hit twice on the first beat of the measure, Rev. Aiuto sings: “I’m not fine, and you’re not fine, and we’re not fine together dear… I told you I was sorry, are you sure that it’s enough?” This is repeated, and then we’re left hanging for a few more bars as the guitarist takes a solo. Even mutual recognition of not-fineness (or, as the theologians say, “sinfulness”) doesn’t solve the problem. But the band drops out again, and then Monique Aiuto sings gently those centuries-old words of comfort: “Lamb of God, you take away the sins of the world.” Though the comfort is real and the hope is true, it’s not the end of the song. The original verse returns, and the problem of sinfulness and the hope of redemption exist as countermelodies. Isn’t this familiar from real life? And all this in just two and a half minutes of power-folk-pop. I’m also impressed by how The Welcome Wagon handles John Donne’s “Holy Sonnet XIX,” eight lines from which give the lyrics for “My Best Days Parts 1&2.” John Donne was a poet and clergyman who lived around the same time that Shakespeare did. Though he wrote some stunningly bawdy poetry when he was a young man, he also wrote some of the most vivid poetry of the Christian life that we have in English. In this particular sonnet, Donne wrestles with troubling shifts in his day-to-day attitude towards God. But after this section, we move suddenly to the rock-and-roll drums and the electric guitar riff of Part 2, and John Donne’s pentameter locks in over the beat in a way that makes it sound almost modern. For most of Part 2, Vito repeats the line “those are my best days, when I shake with fear.” Do you know what he means? I think I do: the days when I feel weak and needy are the days when I have the truest view of myself. And that’s where grace finds us. As the old hymn says, all the fitness He requires is to feel your need for Him. If you’re a fan of the “Praise and Worship” genre or you’re the sort of person who checks liner notes obsessively (I’m only the latter), you’ll notice that “Remedy” is The Welcome Wagon’s arrangement of lyrics by David Crowder, who’s the leader of an acclaimed Christian praise band. By recording this song, The Welcome Wagon has opened up space for comparisons and conversation, and the lesson is, I think, double-edged. The Welcome Wagon – Remedy from Asthmatic Kitty on Vimeo. First, there’s a lesson for people like me, who may find ourselves being snobbish or condescending about music that means a great deal to many people. These lyrics are lovely, and once again tell the story of grace in a way that’s concise and immediate. The facts of the situation: “Here we are, the bandaged and bruised, awaiting a cure… here you are, our beautiful King who brings us relief.” And the response is to gather together and rejoice in the gift of grace: “We lift up our voices and open our hands to cling to the love that we can’t understand.” If I just heard the original, I’m sure I’d miss the beauty of this. Notice that this is the only section that uses the first person singular, the only place that says anything about “I”. In the verses and chorus, the song talks about “you” and “we” in an explicitly communal confession. This bridge shifts the focus noticeably. 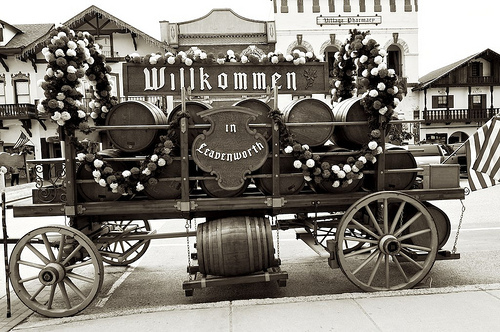 My question is: does the Welcome Wagon lose anything in the story by leaving this out? I don’t think so. In fact, to me there seems to be a danger in building individual psychological responses into our common worship. Speaking very much from experience, it’s a loneliness of a high degree to see yourself as the only one in the crowded stadium who can’t feel what he’s supposed to feel. I can confess the facts — “I’m a sinner, He’s the savior” — but I often find myself unable to become the “me” that praise and worship songwriters portray in their songs. Or perhaps there just wasn’t a melody that fit this bit of text. I’ve been known to overthink things before. As I listened to this record more and more, it starts to strike me as a blending of two other albums that have meant a lot to me. First and somewhat obviously, there’s Seven Swans, Sufjan Stevens’s album of songs inspired by Bible stories and/or Flannery O’Connor’s fiction. In terms of melodies and musical style, it’s got a lot in common with Precious Remedies. And you’d expect this, because Precious Remedies is dedicated to Sufjan Stevens. The second album is Rich Mullins’s A Liturgy, a Legacy, & a Ragamuffin Band, an effort by Mullins and his friends to write a pop album that brought together elements of formal Christian worship and songs about secular life in a unified whole. It’s an ambitious album, trying to at least suggest the sweep of American experience, and the “Liturgy” section is a real success. 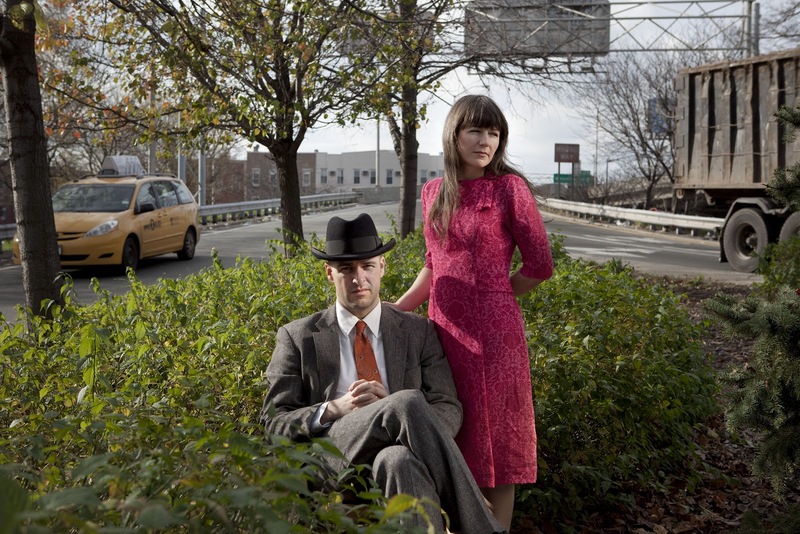 Precious Remedies is a little less grandly conceived — The Welcome Wagon isn’t trying to wrestle down the whole complicated legacy of the United States — but it does a similar thing in drawing together Christian worship and the day-to-day, particularly in the remarkable sequence of songs on the second half of the album centering on the communion hymn “Draw Nigh and Take the Body of the Lord.” The music for this song is remarkable. A little skip in the time signature sets the song apart from the normal four-four and waltz beats on the other songs and maybe accounts for the tingle this song sends down my spine. A clarinet wanders around on this rhythm, suggesting an awed walk to the altar rail. “Draw Nigh” is preceded by a hymn of hope and followed by a hymn of celebration, which leads to a very straightforward and joyous benediction: “God Be with You Till We Meet Again,” in a really bouncy pop arrangement that makes you want to dance your way out of a sanctuary and into the afternoon sunlight. All of this evokes Christian communion’s way of being at once mysterious and everyday. The album begins with a series of songs confessing human sinfulness and hoping for salvation, and also adds songs about friendship, hinting at the ways in which we can pass peace (so to speak) to each other in response to grace. In the communion song, all those threads somehow weave together. But it’s at heart a folky song, so that on some level it’s also utterly familiar. Again, isn’t this like real life? I’ve been thinking about art-for-art and art-for-life recently. There’s art that challenges your idea of what music can be. This kind of music is exciting, and gets accolades from critics. But there’s also art that is good because it fits well in the context of a life. Though Vito Aiuto isn’t a virtuoso songwriter like Sufjan Stevens or Rich Mullins, he’s very good, and I think he, Monique, and their band of collaborators have given us an album that will give a measure of comfort and help on the journey of faith, on the quest to live in the light of grace. Wow, I just found out about the album today as well! Love it. I’ve been waiting to hear a recording of the New York song since they played it at the Haven 15 months ago! A delightful read. I remember “Welcome to the Welcome Wagon” from back when my old roommate was buying everything in the Asthmatic Kitty catalog. We listened to the album every morning for a month there on the second floor of the Jungle House. It was a welcome transition out of “shine on you crazy diamond” week.